Showing 36 articles from August 10, 2016. LOUISBURG -- A Franklinton police officer is a "person of interest" in a state investigation into allegations of sexual assault. Franklinton police have placed officer Jason Tate on administrative leave while agents with the State Bureau of Investigation look into allegations made by an 18-year-old girl during the early morning hours of Aug. 7. According to Franklin County Sheriff's Office Chief of Staff Terry Wright, WakeMed North staff reported the incident to law enforcement around 4 a.m. Sunday. Will rental 'deal' finally ease long-time airport controversy? LOUISBURG -- The county's airport board agreed to cut a tenant's rental bill in half in an attempt to appease him after he claimed a former airport employee cost him $13,000. At a meeting of the board of the Triangle North Executive Airport in August 2014, Brett James of James Aeronautics alleged that Bruce Allen cost him about $13,000 when he accosted a pilot who was bringing a plane to his business hangar to be repaired. LOUISBURG -- The Cooperative Extension's annual Horse Farm Tour observed its 21st year, which is fitting because the event has always felt like a celebration for equine enthusiasts. "It's just wonderful," said Louisburg resident Marsha Aldrich, who has made a habit of attending the tour of the county's horse farms. "And it's fun to see all the people who come out and the farms." LOUISBURG -- A court in Onslow County has continued an injunction that keeps law enforcement agents and prosecutors from targeting certain types of sweepstakes cafes, meaning that two operations in Louisburg can keep their doors open. The General Assembly ruled that such businesses were illegal and earlier this year, agents with Alcohol Law Enforcement shut them down and district attorneys across the state vowed to prosecute those who kept their doors open. A local woman whose personal artwork captured scenes of Franklin County over more than half a century will be honored with an exhibition entitled "Lost Landscapes" that will debut Aug. 22 at Louisburg College. The exhibition of Betty McKinne's work is being sponsored by the Tar River Center for History and Culture and will be on display through Oct. 7 at Louisburg College's Edith C. Lumpkin Community Gallery. We lived the cartoon life for a few days last week when we slipped off to Myrtle Beach for a little R&R before Nick heads back to classes and we all start that inevitable post Labor Day slide toward Christmas! Cartoon life because, on Thursday, as we were getting ready to leave, the N&O ran a cartoon of a guy walking toward the beach and past a sign dictating the rules of the beach. At the risk of sounding alarmist, it is important to realize that a disease about which little is truly known -- and for which no treatment exists -- is here in the United States. Not only that, it has triggered the first-ever travel warning by the Centers for Disease control focused on a portion of our mainland. That disease, of course, is the Zika virus which first began to cause concerns many months ago, mostly in South America. The last time I wrote a column about Rod Blagojevich, he was facing as many as 300 years behind bars on charges of political corruption. 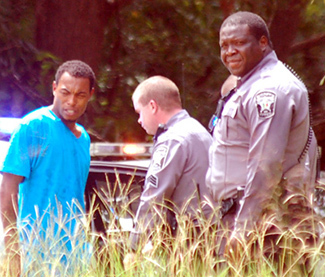 Ultimately, he was sentenced to 14 years in prison for his transgressions. You remember Blago, as he was known in some circles, right? Well, let me refresh your memories. 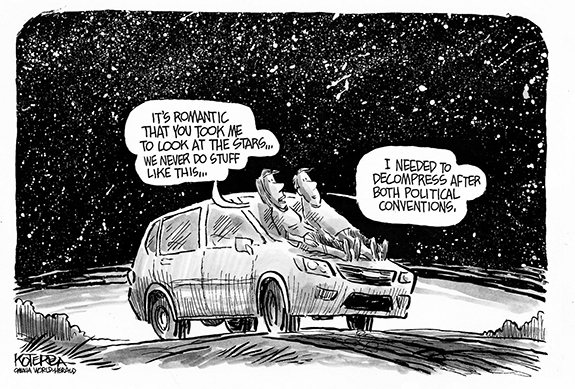 How many times have you heard someone say that in recent years? 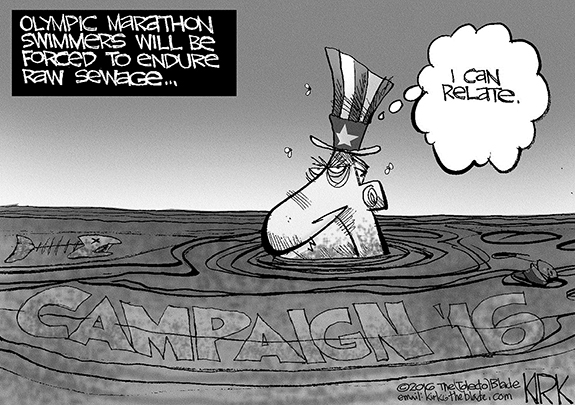 That is also the attitude too many North Carolinians have about the goings on in Raleigh. They think the misdeeds of the radical Republicans in charge don't adversely affect them; it only hurts those "other people." Let's take a deeper look at that. Dear editor: School supplies are a basic need for students. The truth is though, that not all families can afford to supply these basic needs themselves. Teachers fill in the gaps for these families out of their own pockets. No one is forcing teachers to pay for classroom supplies, ­­ we do it voluntarily. North Carolina already ranks as the second-worst state to be a teacher, and we rank 46th in the country for per student spending. 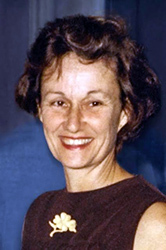 LOUISBURG - Jeanette Murray Leonard, 78, of Louisburg, died Sunday afternoon. 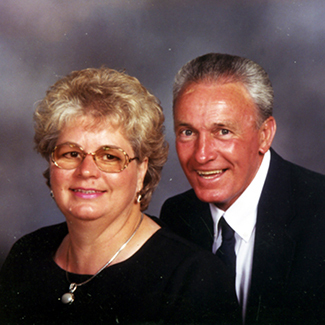 LOUISBURG - Mary Kay Whetsell Harmon, 71, of Louisburg, died Wednesday night. LOUISBURG- Robert Damion May, infant son of Joey Brown and Austin May, died Friday. 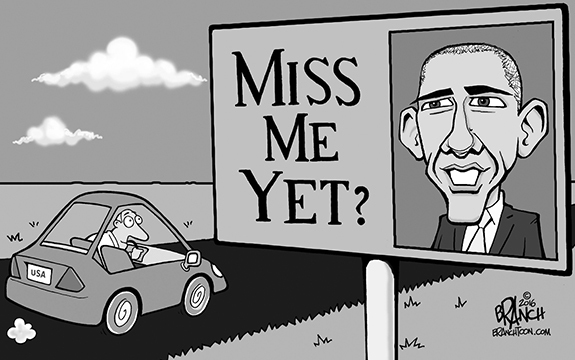 SHEDDING A BLOCK. 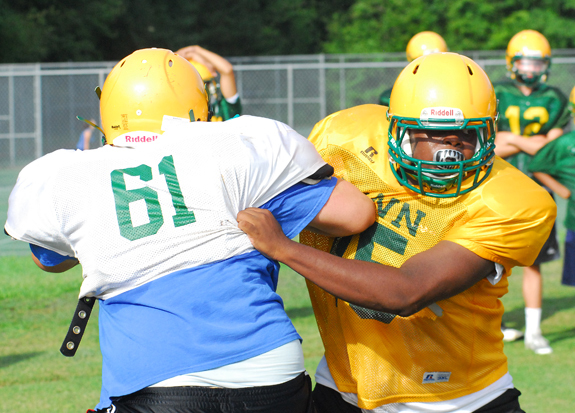 Bunn High School's Johnathon Truett (right) evades a block attempt during a drill at last Thursday morning's football practice. BUNN -- A preseason trip to Raleigh for the old Pigskin Preview used to be a much-anticipated event for the Bunn High School football team. But the preview at Carter-Finley is long gone, so the Wildcats have stayed away from Wake County scrimmages over the past several campaigns. The Wildcats will be making a return this Saturday as part of the HighSchoolOT.com jamboree at Cardinal Gibbons High School in West Raleigh. The school is located adjacent to the PNC Arena on Edwards Mill Road. TEAMMATE SOUGHT. 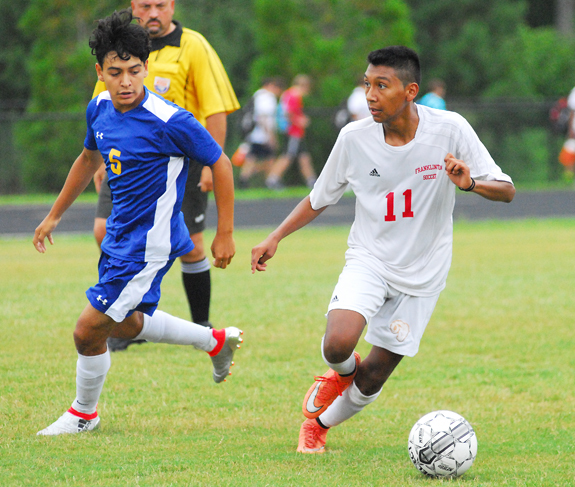 Franklinton's Richard Lopez-Hernandez (right) looks to pass the ball. FRANKLINTON -- Franklinton High School's mission was twofold during last Saturday's action at the annual Wade Halford and Lane Meyer Memorial Boys Soccer Jamboree at the FHS Football Field. The most important order of business for FHS was to honor the memory of Halford, a former Red Ram who passed away in 2011. Halford was one of the early cornerstones of what was then a new boys soccer program at Franklinton under then-coach Deran Coe. FRANKLINTON -- Nine and counting. That's the number of former Franklinton High School student-athletes who will be competing in either cross country or track and field on the collegiate level during the 2016-17 season. 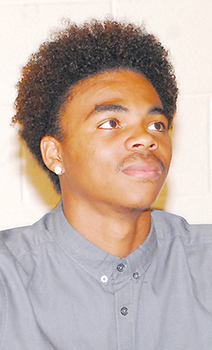 The number increased last Saturday as a trio of Red Rams signed letters-of-intent to continue their respective careers at Virginia University of Lynchburg. 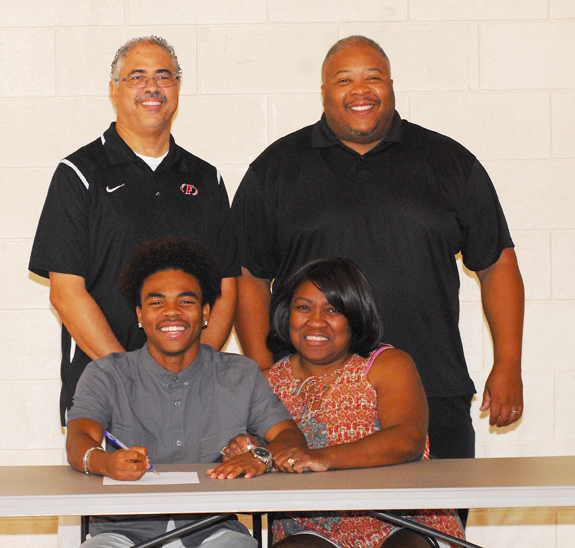 Franklinton's Tyler Irby signs a letter-of-intent to join the track and field program at Virginia University of Lynchburg. 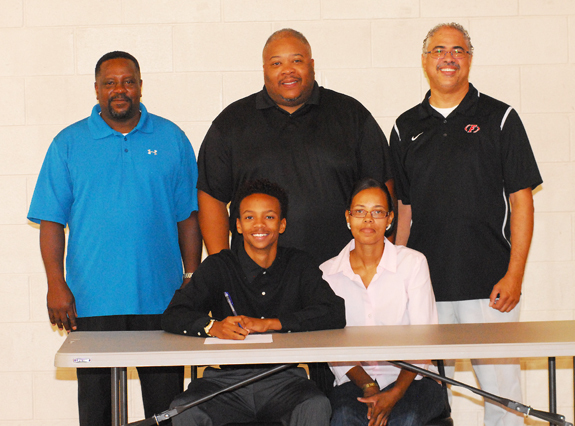 Also pictured are (back, l to r) FHS assistant coach Ben Snelling and FHS head coach Clennie Wilkins; (front, right) Joanne Irby (mother). 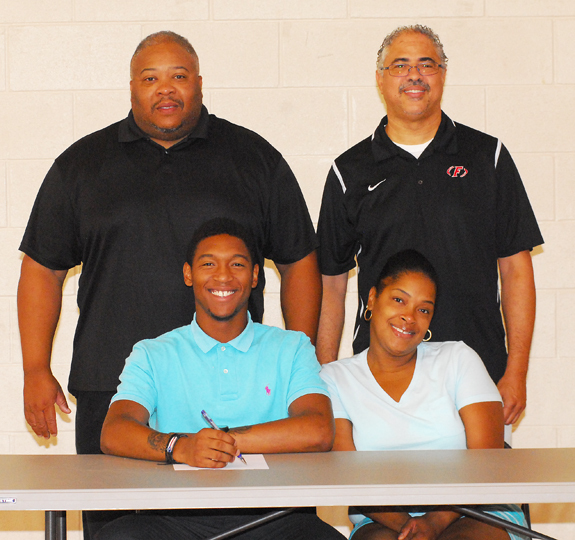 Franklinton's Jivel Teasley signs papers to join the track and field and football programs at Virginia University of Lynchburg. Also pictured are (back, l to r) FHS coach Clennie Wilkins and FHS assistant Ben Snelling; (front, right) Wanda Pace (mother). BRE IS BACK. 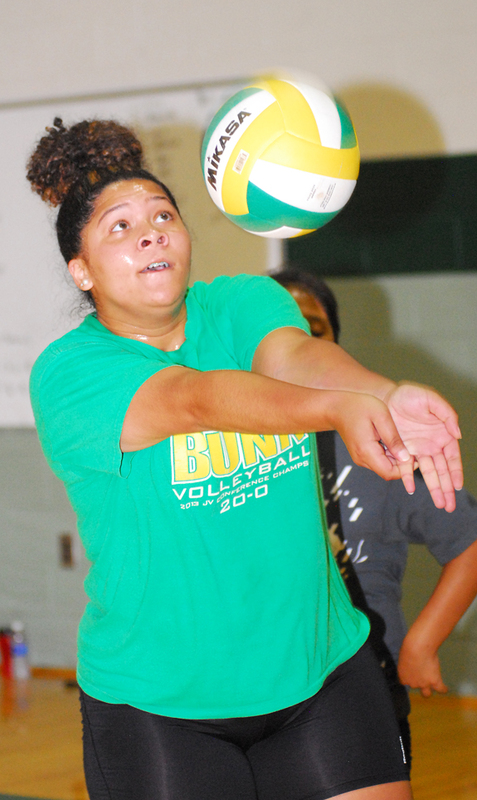 Bunn High School's Bre Monroe will be returning this season for the Ladycats' volleyball squad under Coach Henry Jones. BUNN -- Few prep coaches in Franklin County, regardless of the sport, have Henry Jones' consistent knack for being able to reload on the fly. No matter the circumstance, Jones has been able to field an ultra-competitive team during his 20-plus seasons in charge of the Bunn High School volleyball program. Even when he fields squads decimated by graduation and other circumstances, Jones seems to find a way to excel. MYRTLE BEACH, SC - James Pugliese, Craig Brooks, Tommy Nance and Daniel Lewis combined to hold the Mudcats scoreless as the Pelicans finished off a series sweep with a 6-0 victory against Carolina on Sunday night at TicketReturn.Com Field in Myrtle Beach in a Class A Carolina League baseball event. The loss was Carolina's fifth straight overall and dropped them to 12.0 games back of first in the second-half standings behind first-place Myrtle Beach (63-51, 27-17). LOUISBURG -- The Louisburg Moose Lodge 2256 and Women of the Moose Chapter 2312 will host a softball tournament fundraiser on Aug. 20-21 at the Moose Lodge Park in Louisburg. Proceeds from the tournament will support Moose charities. Team entry fee is $250 per person for the double-elimination event. FRANKLINTON -- Franklinton High School's 2016 cross country season will begin on Aug. 16 with an appearance at the Tiger Challenge 3-K Kickoff in Hope Mills. LOUISBURG -- When perennial powerhouse Louisburg High School was defeated in the quarterfinals of the Class 1-A State Volleyball Playoffs last October, it certainly wasn't the end of an era. Not with so many key players returning this season as part of another campaign that will feature plenty of high expectations for the Lady Warriors. Louisburg lost only one rotation performer from last year's club -- hitter Loganne Driver. STANHOPE -- When a Southern Nash High School representative phoned over to Bunn to ask for a reference on Melanie Davis, the caller was surprised to receive a quick-but-stern two-word reply. "Hire her,'' was the pointed response from Franklin County. 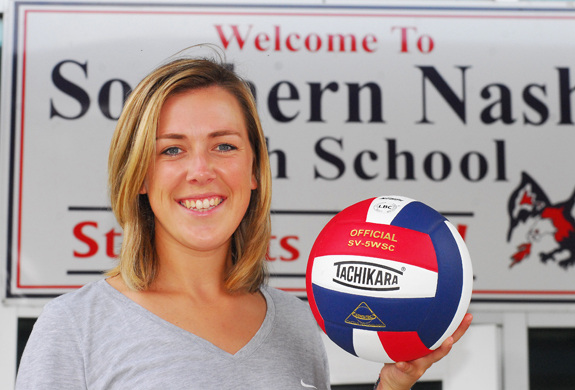 And so Southern Nash took the advice and hired Davis to be its volleyball coach for the 2016 campaign and beyond. It's that time of year when the school bus lights are flashing and the bells will be ringing. It's back to school time. New students, new teachers and lots of excitement. Let the school day begin with the most important meal of the day Breakfast. Before students begin their day of learning and adventure be sure to provide them with a nutritious breakfast that provides foods from the dairy, fruit, grain and protein food groups. Kenneth and Dorothy Hale of Castalia celebrated their 50h Wedding Anniversary with family and friends on July 2 at Corinth Baptist Church in Nashville. They were married on July 5, 1966 in Louisburg. They have two daughters, Cindy Hale and Lisa Creecy and husband Brett; and two grand-furbabies, Jackson and Rocky. The Franklin County Board of Education had one of its shortest meetings in recent memory this week -- the public portion was barely 10 minutes long! During the public portion, the school board set the tuition rate for county schools at $1,782.08 per student per year. That rate applies for students who live outside Franklin County but want to attend Franklin County Schools. Essentially, the rate equals the amount that Franklin County government spends on each child enrolled in the county school system. FRANKLINTON -- Sheriff's deputies arrested a Louisburg woman following a stabbing. According to authorities, Debbie D. King, 36, got into an argument with a 25-year-old woman at a house on Mitchiner Grove Road when she pulled out a knife the afternoon of Aug. 8. LOUISBURG -- A relative of a woman killed by a roommate in an assisted living facility has filed a wrongful death lawsuit, alleging its operators were negligent. Franklin County sheriff's deputies responded to The Jordan during the early morning hours of Dec. 29, 2015 to find Elouise Collier dead from knife wounds. Her roommate, Patricia Marrow, 57 at the time, was charged with stabbing the 88-year-old woman with a steak knife. On Aug. 4, Collier's grandniece, and administrator of her estate, Angela Alston, filed a wrongful death lawsuit against the facility and its operators, Carolyn and John Newell. Emergency crews responded to a wreck on U.S. 401 Monday morning involving a flipped over truck. 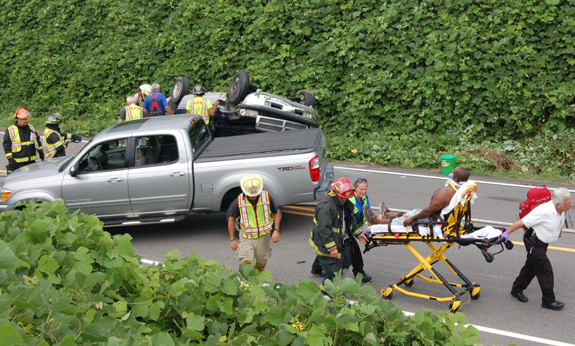 Above, emergency crews transported the driver, who had not been identified, to a local hospital for treatment. First responders on the scene said when they arrived, they found the man outside of the truck and he was able to walk around. EVENING FUN. Law enforcement and the community met for Franklinton's annual National Night Out on Aug. 2. 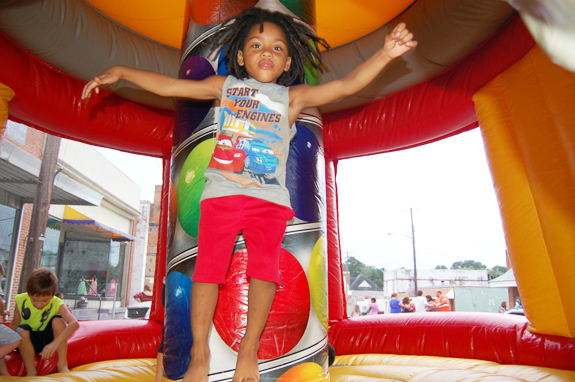 Above, Jaylen Hawkins, 4, has fun in a bounce house provided by A-1 Gumballs in town. Quilt Trail: New name, broader appeal! Three years ago, the quilt trail team of Franklin County Arts Council (FCAC) hung the first quilt block of the Quilt Trails of the Tar River. 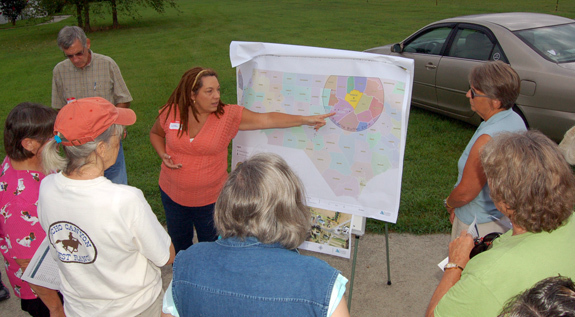 In one year, the trail had more than 30 blocks in Franklin and surrounding counties. FCAC announced this week it has renamed the Quilt Trails of the Tar River to Quilt Trails of the Tar and Roanoke Rivers. 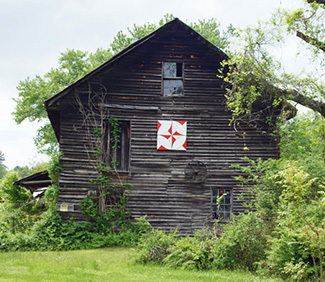 The trail has reached beyond the central counties of Franklin, Granville, and Vance counties to include Wake, Martin and Pitt, with contracts for more than 60 quilt blocks.